By Shaunna Evans 26 Comments · This content may contain affiliate links. 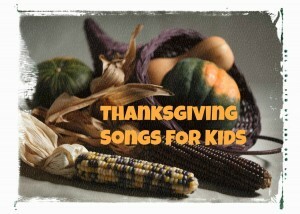 This week as part of our Thanksgiving theme we will begin introducing our Thanksgiving songs. Can you believe there are less than three weeks until Thanksgiving? Most of these songs will be a regular part of our calendar time this month. 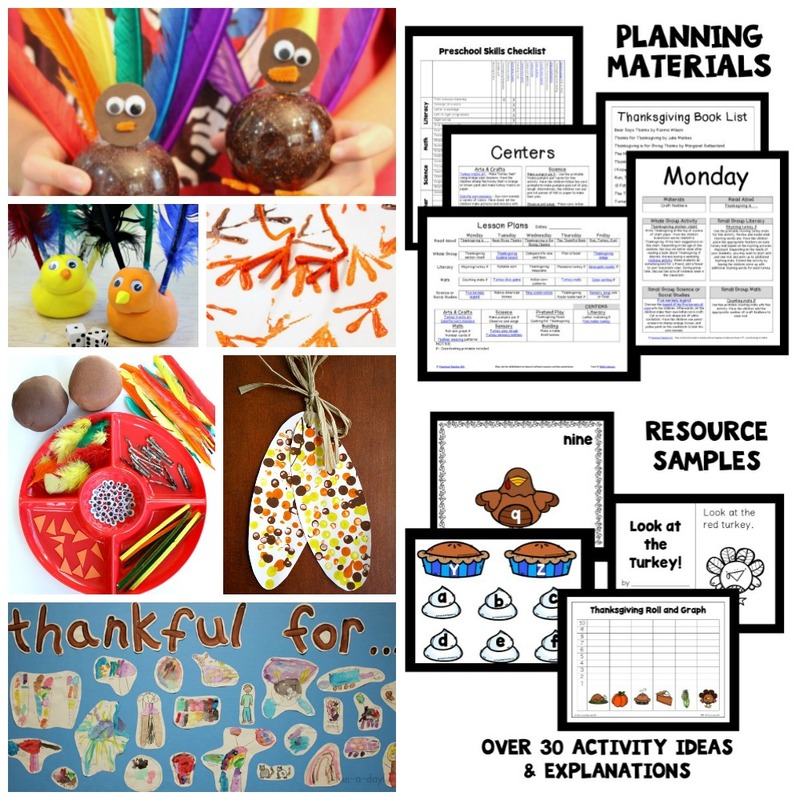 We will also be using the Thanksgiving Calendar Connections free printable calendar cards from 1+1+1=1 to discuss some basic facts about Thanksgiving. I plan to use two of my old favorites from the classroom. The Turkey Trot is a great version of the Hokey Pokey. It is so much fun for the kids to put their turkey body parts in and shake them all about. They all laugh hysterically when they put their tail feathers in. Another favorite that we will use is The First Thanksgiving. The song is to the tune of The Muffin Man, and it includes some basic facts about the first Thanksgiving. I found both of these songs at Hubbards Cupboard. 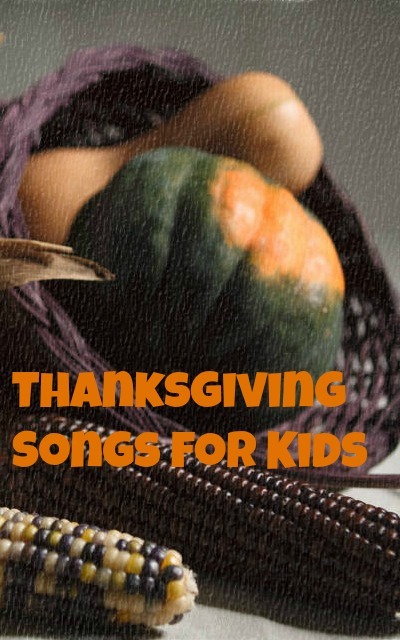 At this site, you can also find many more wonderful Thanksgiving songs and ideas. One new song we will be doing this year is I’m A Little Turkey to the tune of I’m a Little Teapot. There is a great printable version that I will use to guide us along as we sing and act out the song. I am also really excited to use Raffi’s Thanks A Lot with the kids. I think it will be a wonderful way to talk about the things we are most thankful for in our lives. To begin, Raffi guides the kids into relaxing and closing their eyes as they listen to this song. After we have listened to the song a couple of times on different occasions, I will build upon this introduction and talk to the kids about trying to paint a picture in their minds of the things Raffi is singing about in the song. This is a great way to introduce kids to visualizing, a comprehension skill they will need as they become readers. Prekinders also has some materials to go along with this song. 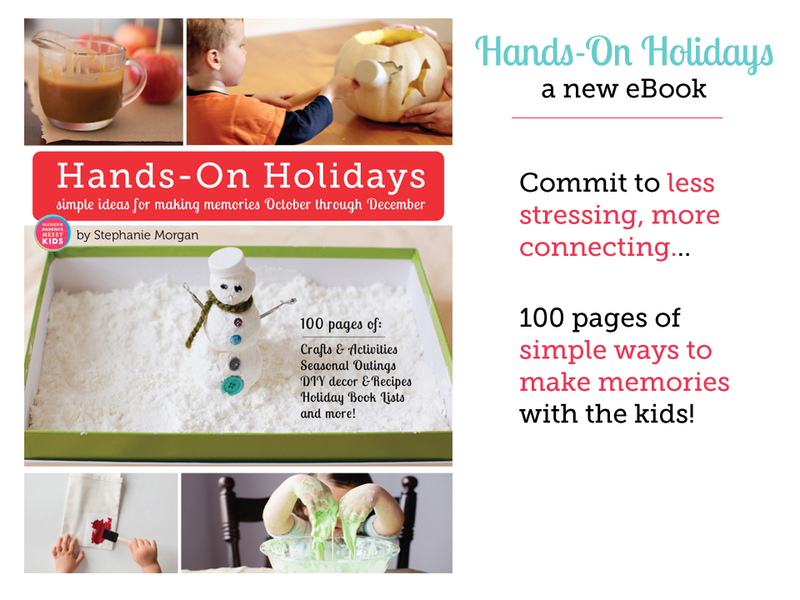 We will be using one of the slideshows and the printable book. We just might try and memorize part of this song for a little Thanksgiving performance depending on how the kids like it! This week we will also include some Letter J songs and a song to go with our color of the week, but I thought these Thanksgiving songs would be the best to share. Hope you like them! Let me know in the comments if you have any favorite Thanksgiving songs or if you use any of these. 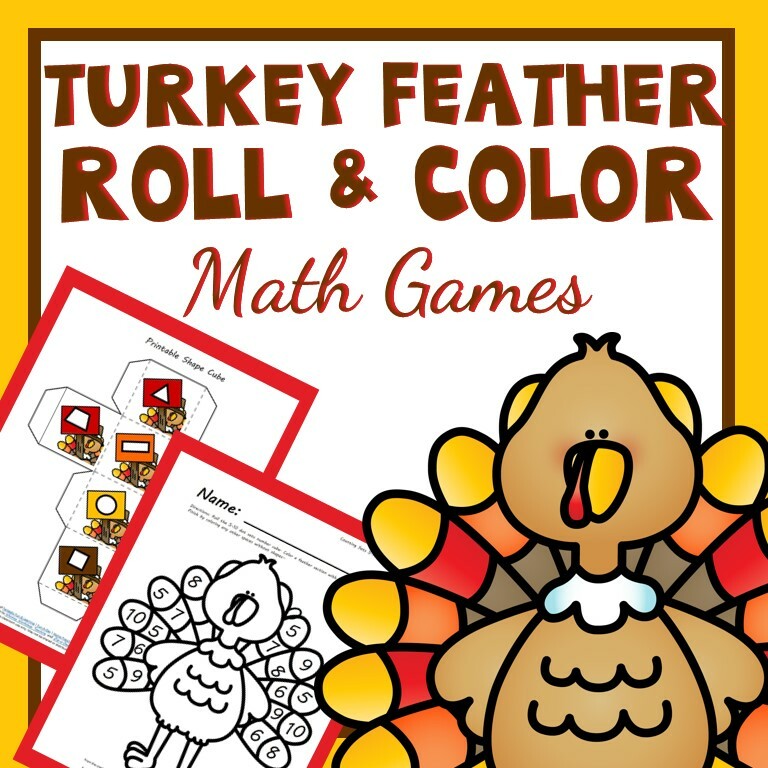 Continue the Thanksgiving fun and learning during centers or small group time with these hands-on roll and color turkey math activities. Depending on your goals kids can practice color recognition, shape recognition, matching sets, matching numbers, addition and more. 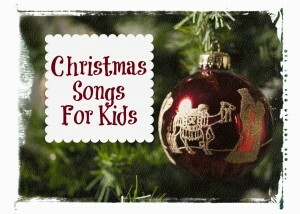 You might also enjoy our Christmas Songs. Thank you so much you have help me with my day care children. Keep it coming please. Thanks so much for these songs! I was planning out my week earlier and needed Thanksgiving songs! Glad to help! My kids have really enjoyed these songs. I hope yours do, too! Wonderful songs! Sharing this on this week’s Sunday Showcase. Thanks for sharing with us. Wow! I am so excited. Thanks so much! Thank you so much! I pinned your post and shared via Facebook. What wonderful songs! The kids and I always break throughout a school day to do the Turkey Pokey (and get their focus back). Thank you for linking up to my Enchanted Thursdays Blog Hop this week! Thanks! Yes, the Turkey Pokey is a great brain break! Thanks for stopping by. Thanks for sharing at Mom’s Library. We love Raffi at my house. Thanks for hosting! We’re big Raffi fans, too! Great songs! Thanks for sharing at Mom’s Library! Thank you so much for featuring and pinning my post. I really appreciate it. I am new to the blogging world, and I only have a little Montessori experience. I am learning a lot from your website. Thanks for all you do! I think you should have left the third verse out of ”’The First Thanksgiving” because as everybody knows the first people & many who followed did NOT befriend Indians but sought to take their land & waged war with them. It’s wrong to tell children something that is not true. Thank you for the suggestion. I would encourage readers to use the verses they feel fit best with their instruction and the historical facts they are teaching. As my kids get older I will introduce them to historical facts about Samoset and Squanto, two Native Americans who did facilitate the development of friendships and a peace agreement between the Pilgrims and the Native Americans. Shaunna, you are right on. Niamh can sing whatever she wants to. For me, just because SOME of the people didn’t befriend the Indians doesn’t mean you shouldn’t sing part of a children’s song. Also, some Indians didn’t befriend the Pilgrims and waged war on them as well. We should not leave out that verse because Indians were an important part of the history of Thanksgiving. You make some great points, Tulip. Thanks! Isn’t it? I loved watching the kids enjoy it today.